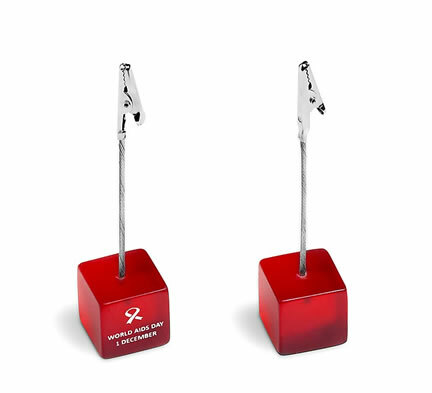 Description:This memo clip is pre-branded with the wording - WORLD AIDS DAY - 1 DECEMBER. You are able to co-brand on any of the other three sides. The Topsy Foundation will receive 50c from the sale of each unit.